BonAppetour is a community marketplace that lets you connect with home chefs in locations all around the world for a uniquely local dining experience. Of course, this includes Japan! Appetite for Japan is all about the most exciting things that you can do, see and eat in Japan, so when I heard about BonAppetour, I jumped at the chance to write about it. Dining is a big part of any overseas travel, and especially in a country like Japan, it’s worth seeking some authentic cuisine. BonAppetour takes you a step further than dining at restaurants, giving you the opportunity to meet locals and immerse yourself in the real culture of each city. And it doesn’t get much more authentic than a home-cooked meal in the country you’re visiting! 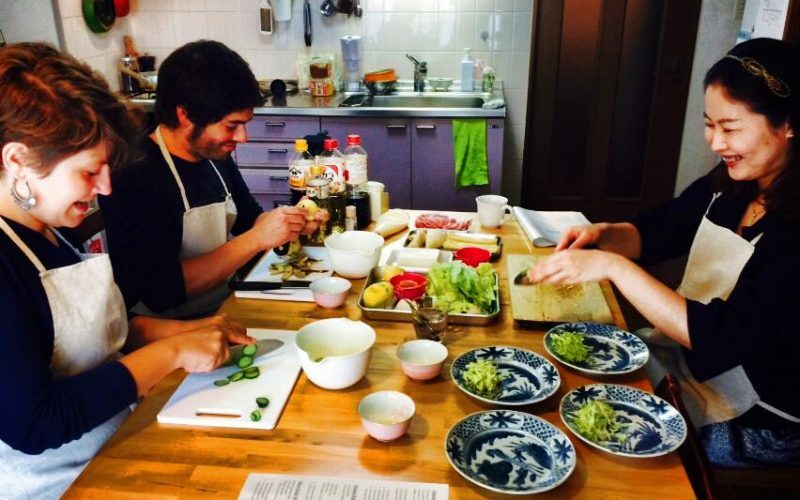 If you’re planning a trip to Japan and you’re interested in adding a home cooked Japanese meal to your itinerary, BonAppetour has plenty of options to consider, from Tokyo to Osaka, Kyoto and beyond. And they sound great! What kind of dining experiences are on offer in Japan? 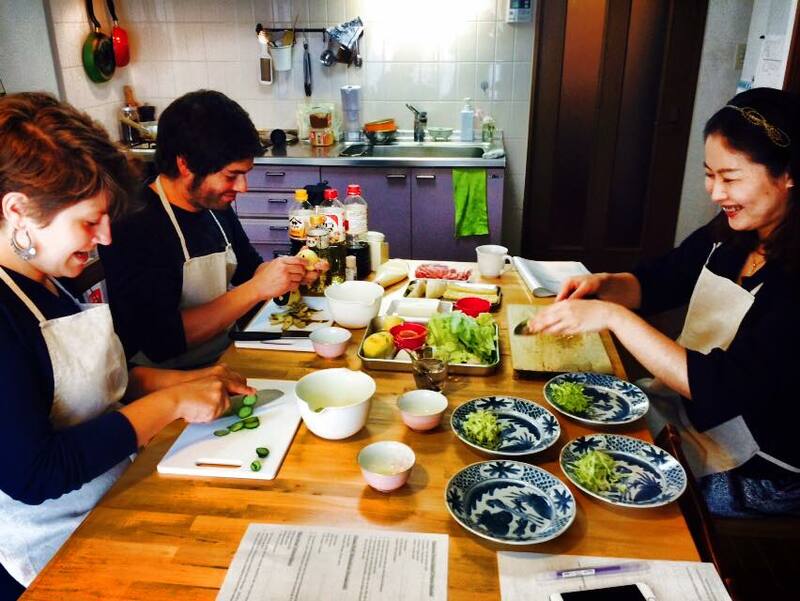 While some hosts will cook for you, many of BonAppetour’s experiences mean that you cook with the host, which is a great opportunity to learn to cook an authentic meal from the city that you’re visiting. 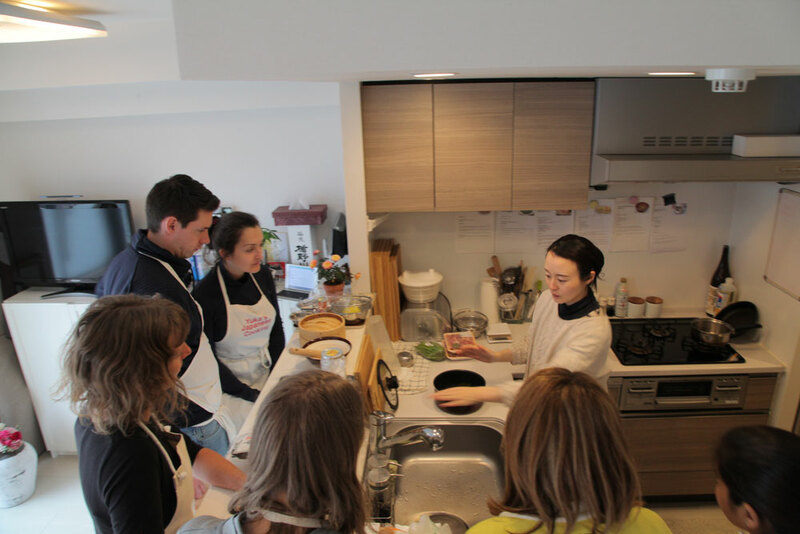 In the ‘Japanese Tea Ceremony & Sweets Making’ experience, Waki will teach you how to prepare and drink tea in a formal and traditional way, as well as teaching you to make wagashi, traditional Japanese sweets. If you’d like to learn about more than just food, there are plenty of hosts offering a combination of cultural and dining experiences. 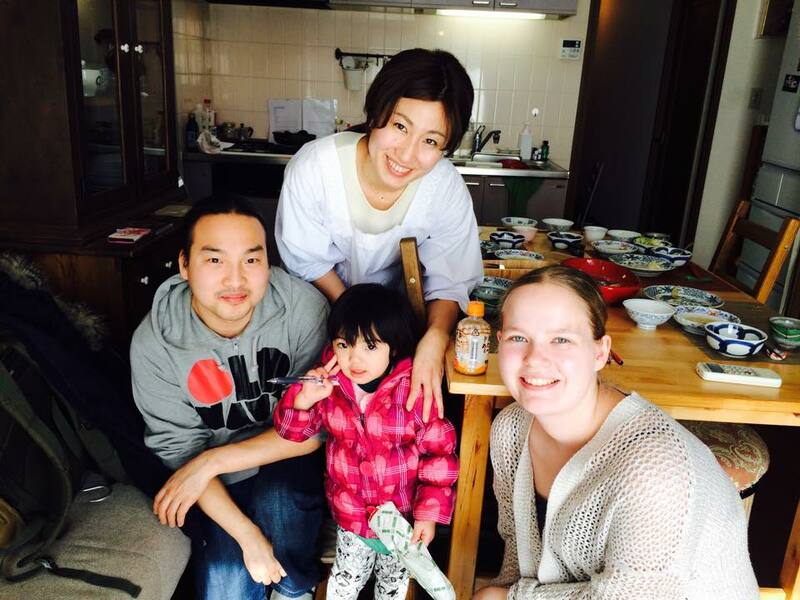 For example, the ‘One-Stop Japanese Culture Experience’ includes 4.5-5.5 hours at host Mariko’s home, where she will teach you origami, furoshiki (Japanese cloth-wrapping) and shodo (Japanese calligraphy), and her mother will teach you to cook a feast of delicious Japanese food including tempura, sushi, gyoza, okonomiyaki and yakisoba (and yes, you get to eat it too!). BonAppetour’s home chefs are also a wealth of local knowledge and are sure to be able to provide you with some great tips to make the most of your time in their cities. Disclosure: This post was sponsored by BonAppetour. All opinions are my own.